What Kind of Home Loans Are Available for Seniors? There are many types of home loans available for the 55+ community. The loans are all different and the best one for you will depend on your own circumstances. Before committing to any program, you should educate yourself on the types of home loans available to avoid defaulting. Home loans can either be conventional or government loans. The conventional ones are not guaranteed or insured by the government, but conform to underwritings of Fannie Mae and Freddie Mac, and their limits are as high as $424,100. Those that are not in accordance are referred to as jumbo loans and are higher than the conforming loans. Whichever the case, it is important to know that you are never too old to qualify for a mortgage loan. Detailed below are the various types you can apply for. These loans are regulated by the Department of Housing and Urban Development. They offer flexibility regarding income ratios and credit scores. 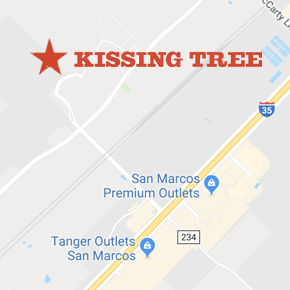 With a down payment of 20 percent of the purchase price of your home, you can quickly put down as little as 3.5 percent and buy your home from Kissing Tree. The Federal Housing Administration loan is right for those who have little savings for down payment, or those who have previously had credit problems. If you are also seeking to save some cash to fix a home you are purchasing; this loan is right for you. The loans can be procured from private lenders. The loan is geared toward helping veterans purchase or build a home with little or no down payment. Although it is offered by private lenders, the loan is guaranteed by the Veterans Administration. This means that if you are a veteran and wants to purchase a home in a 55+ community, the lender will offer you better terms for the mortgage, allowing you to obtain financing even where you would have had problems with raising enough cash to make the purchase. The loan, however, has strict measures. The home you buy should be your primary residence and ensure there are no fixer-uppers allowed. If for example, you want to sell your home and settle in a retirement community like the one Kissing Tree offers, you can acquire a bridge loan. It is a loan meant for those looking to purchase a home before selling their previous one. The lender will combine both the new and current mortgage into a single payment to which after your home is finally sold, you can quickly pay off the mortgage and refinance. Eligibility requires good credit and low-debt income ratio. It also requires that you don’t need to finance more than 80 percent of both homes combined. The loan is specifically designed for families in rural areas. The home price is 100 percent financed by the government. This means that there is no down payment as the state also offers discounted interest rates. Those who are struggling financially can apply for this loan and get a grasp. It is not only for first time home buyers, but also repeat buyers, and it comes with a 30 year fixed rate mortgage. The loan requires that you buy mortgage insurance. There are also other types of loans in Texas that are ideal for the purchase of homes in a retirement community like the mortgage grant Southeast Texas Housing Bond (SETH), which provides grants of up to 5 percent of the price of your home and the MCC Program, Texas Mortgage Credit Certificate Program. You don’t have to worry about getting a loan if you are a senior. Get the home that you want by applying for any of the above loans.